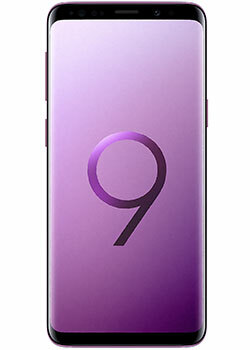 Don't forget that all of our Samsung Galaxy S9 and S9 Plus devices are fully unlocked and sim free for all UK and International customers. You can even switch up your sim or service provider at any time as the handsets will remain unlocked. International and worldwide delivery is generally within 1-2 working days via FedEx, with full 12 month warranty. Don't forget if you're purchasing outside the EU you'll pay the Ex-VAT price. Samsung Region lock their handsets globally. If you place an order for the Samsung Galaxy S9 and S9+ for shipping outside of the EU, we will remove the region lock on your device prior to dispatch. This will enable you to use your device locally on a carrier of your choice. Capture the moment with the dual 12-megapixel, f/2.4 and f/1.5 aperture and secondary 12MP telephoto rear camera that adapt to bright light and super low light automatically, like the human eye. Shoot at incredible speed: 960 frames per second, thanks to the super speed sensor. Show off your directorial skills by adding Super Slow-mo bursts to a video or spotlighting one moment. Live focus and bokeh filters also add flair to your photos. Enjoy Dual video calling on the 8 MP selfie camera, with Auto HDR and autofocus. Sleek, stunning and IP68 certified. The screen and the bezel of the Galaxy S9 Plus blend together to form a seamless design that is strong and durable. Secure your S9 Plus with a look, a tap, a pattern, or a PIN. Meanwhile, the iris scanner is hidden away within the upper bezel to highlight the Infinity Display. While the fingerprint sensor is ergonomically placed to let you unlock with one easy move. You can also rest easy knowing that all your sensitive data is protected with the security of Samsung Knox. With AR Emoji you'll ramp up the fun, turning yourself selfie into an emoji to make your messaging come alive. Those with wanderlust will love the new handheld language translator overlay for the camera and Bixby Vision that acts as your Augmented Reality assistant. Other benefits include 4G speeds up to 1.2Gbps, wireless charging capabilities for the 3500 mAh, 6GB RAM and Exynos 9810 Octa. Offering a 6.2-inch OLED Widescreen Quad HD edge-to-edge display that curves over the sides for a sight that seems boundless with minimal visual distractions. Enjoy a cinematic view with a 18.5:9 ratio, and you'll be able to view your photos and videos vividly on this bright display that increases the contrast when you're outside. The Galaxy S9 Plus offers surround sound with Dolby Atmos stereo speakers tuned by AKG for three-dimensional sound for a theater-like experience.